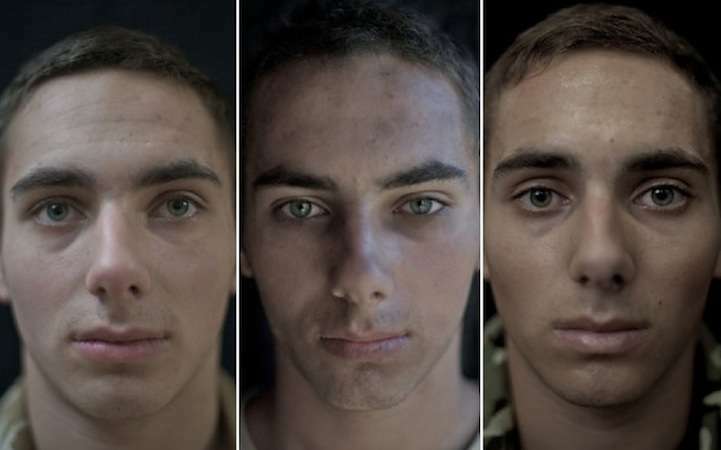 War changes people. 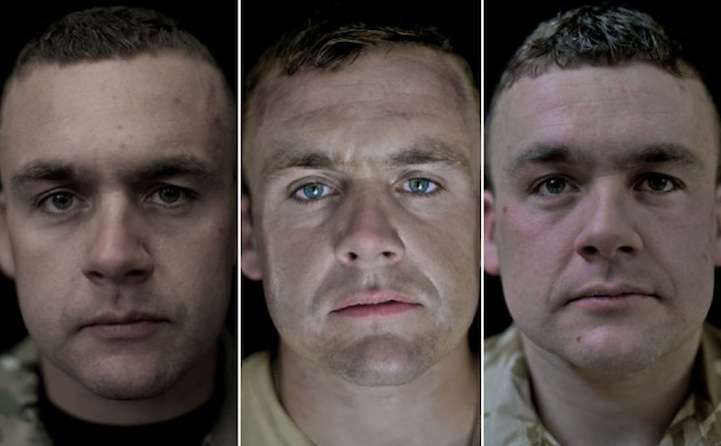 If the number of veterans suffering from PTSD isn’t enough to convince you of this, the photographs by the journalist, photographer and filmmaker Lalange Snow might be. 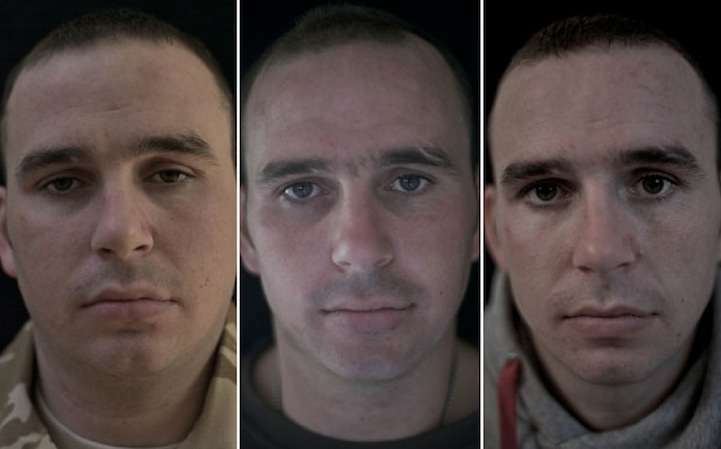 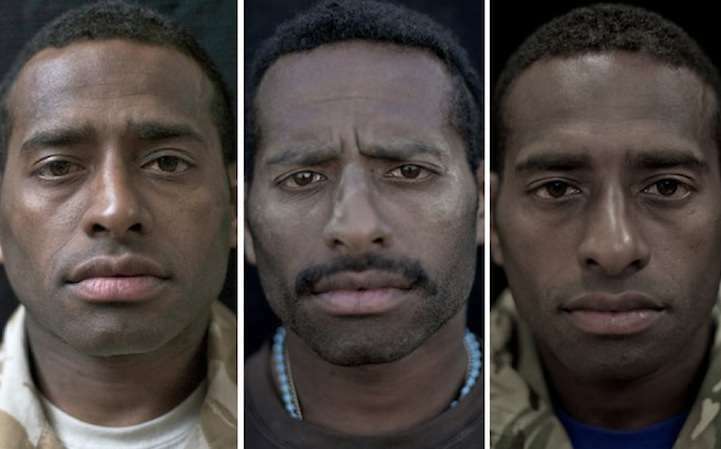 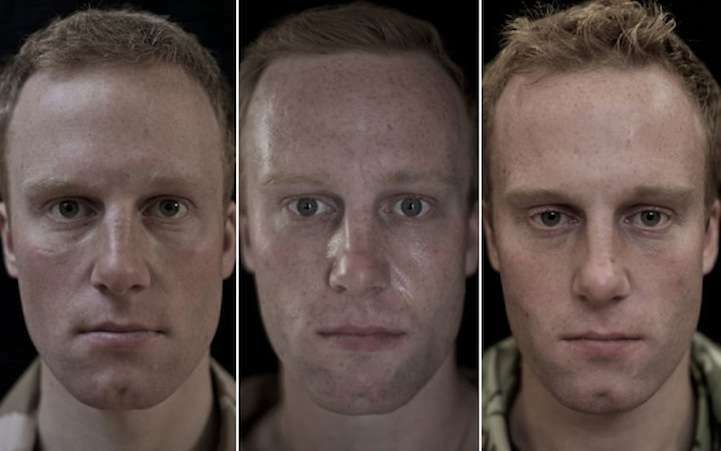 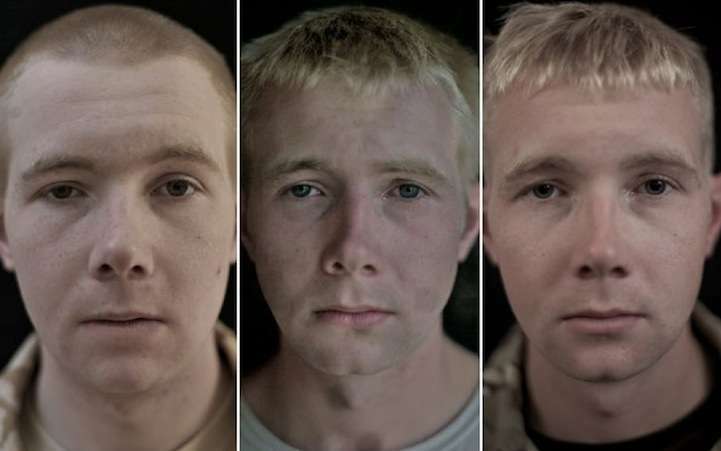 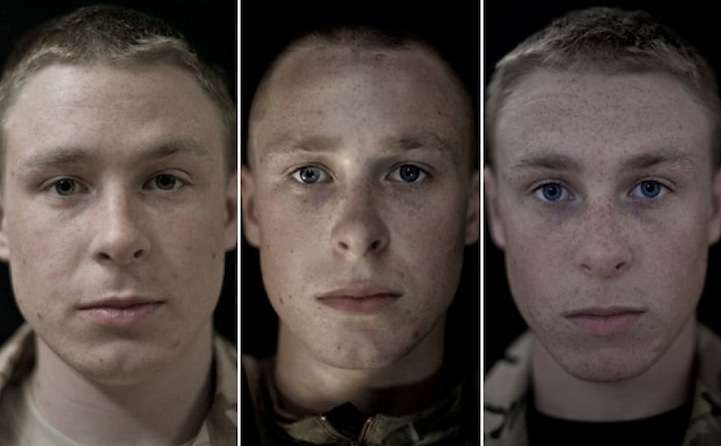 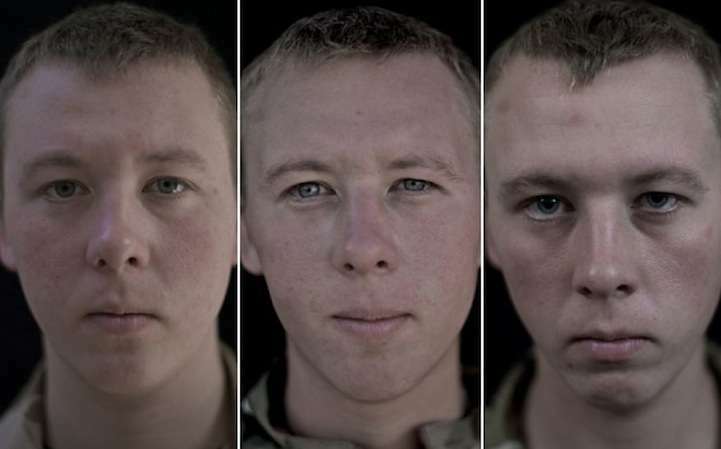 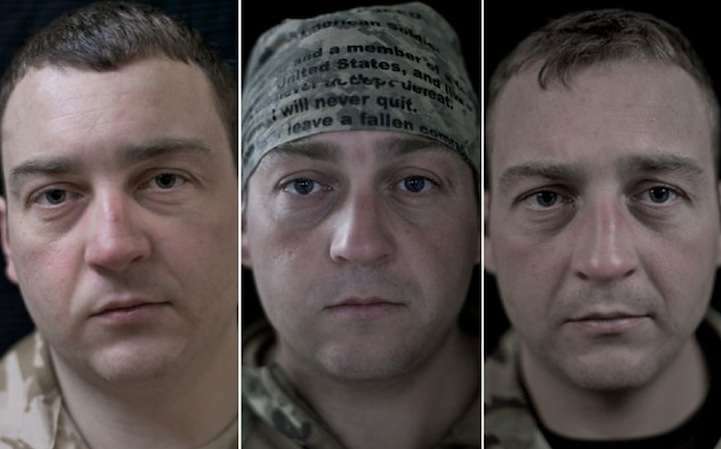 For her “We Are The Not Dead” series, Snow decided to make a series of photos portraying fourteen British soldiers’ faces over a period of seven months, before, during and after their operational deployment to Afghanistan. 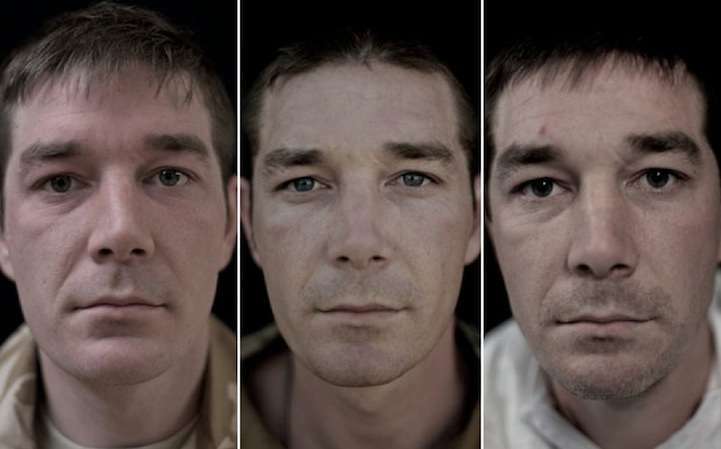 Thinking Human reports that the photographer’s purpose was to show how these peoples’ faces started changing and how their expressions transformed into something completely different. 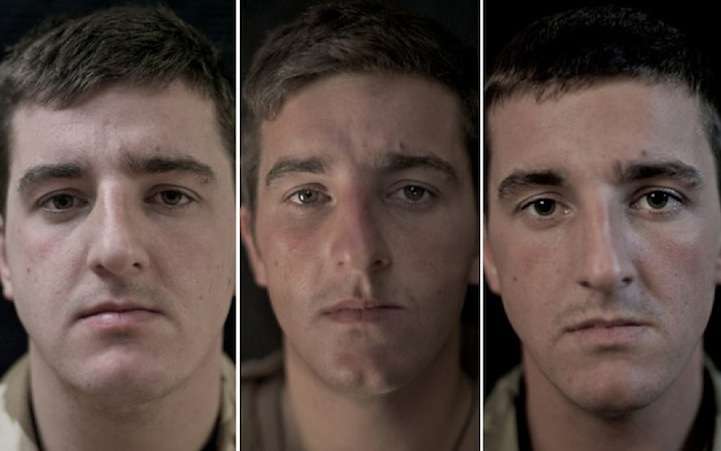 What was captured is a physical change, which is directly connected to the emotional burden experienced by the men. 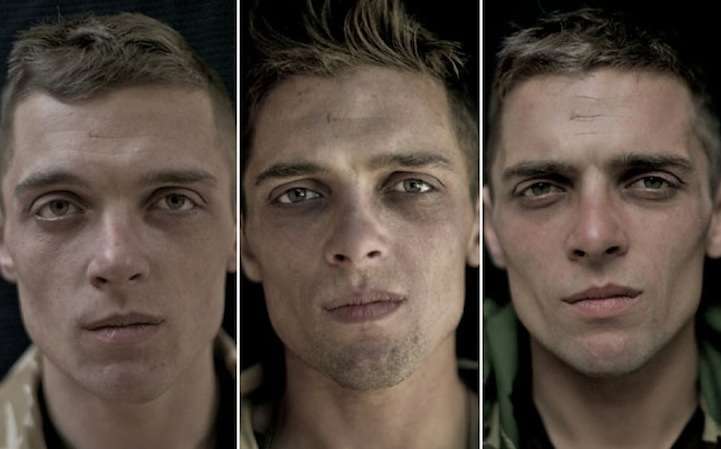 To be a soldier, men and women must learn how to not only be brave but how to be cruel as well. 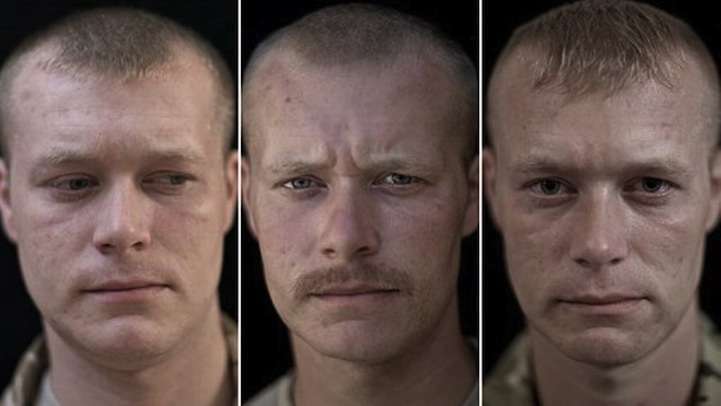 Oftentimes, a person on active duty is required to detach emotionally, and this is why rates of depression, alcoholism and suicide are high among those who have been deployed. 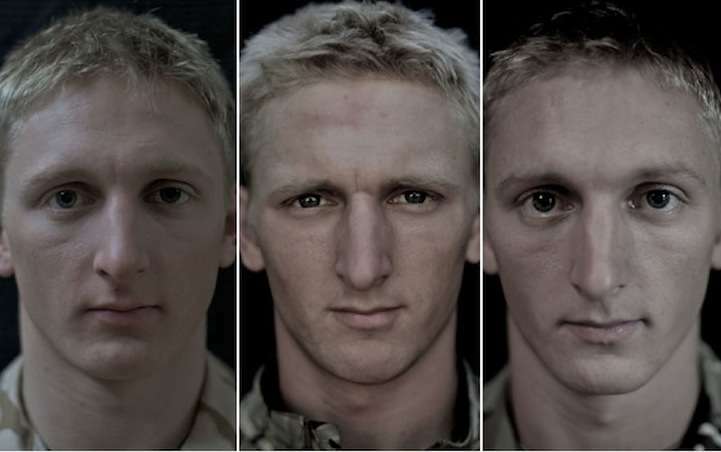 Lalange’s intention was not only to honor the soldiers’ courage but to also make the public aware of the psychological and emotional changes every soldier goes through.